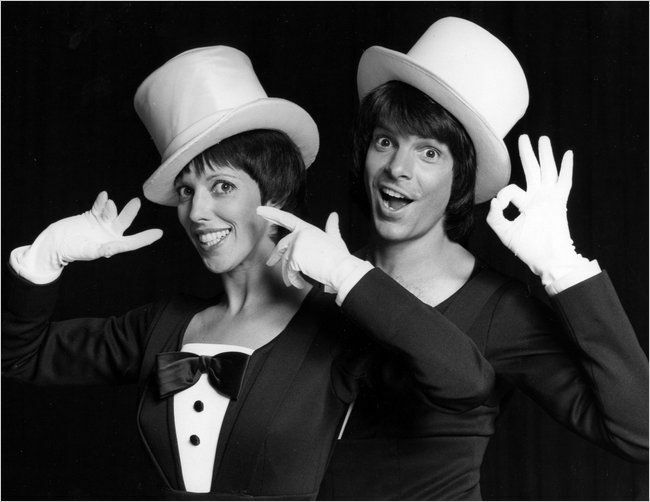 Lorene Yarnell, who with Robert Shields formed the mime-and-dance comedy team Shields and Yarnell, a familiar presence on television in the 1970s, died on July 29 after suffering a brain aneurysm at her home in Sandefjord, Norway. She was 66. With Mr. Shields, her husband at the time, Ms. Yarnell starred in the variety show “Shields and Yarnell,” broadcast on CBS in 1977 and 1978. She had originally trained as a dancer, he as a mime; after meeting in the early 1970s, each learned the other’s art. Together they developed a style that was an amalgam of the two. I really used to enjoy their show (Robert Shields...very sponge-worthy), especially when they played the robotic couple "The Clinkers". I remember how several of my friends and I would impersonate the Clinkers at school back in the day. Of course, it only managed to solidify our nerd/geek status amongst the cool kids. 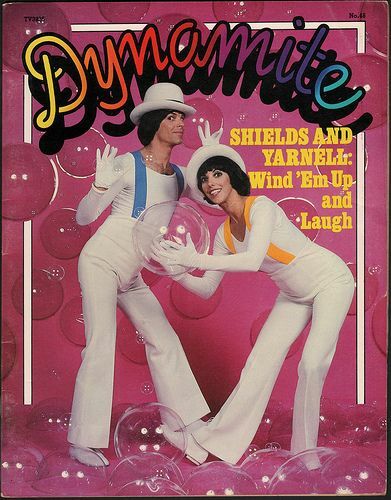 I also remember getting this issue of Dynamite Magazine (which I subscribed to in my small Ohio town for all the cool TV news and the potential of a Brooke Shields or Wonder Woman article) and being excited because Ms. Yarnell had also just guest-starred on an episode of Wonder Woman playing Formicida, the Ant Queen. It was a win-win for me at the time. Academy-Award winning actress Patricia Neal, whose off-screen life was one of dramatic triumph over adversity, died Sunday at her home in Edgartown, Massachusetts. She was 84. Neal is best known for her role as Alma in "Hud," where she played a housekeeper who did not fall for cowboy Paul Newman's charms. She won an Academy Award for the role. Neal also won a Golden Globe award for her performance as Olivia Walton in 1971's "The Homecoming: A Christmas Story," the television movie that served as the pilot episode for the TV series "The Waltons." Concerns over Neal's health and her ability to handle the difficulties of a weekly television series led the producers to offer the role to Michael Learned when the show when into production. You mean I wasn't the only one doing those robotic moves in the school yard? All this time I thought I was alone. I noticed: "her husband at the time." I wonder where he is now. He seems like he'd be more intersted in "Ken." Why didn't Yarnell play a fembot? Typecasting. Tell me you weren't doing Patricia Neal impersonations on the playground. That would definitely get you a weggie. I forgot about all of my Patricia Neal impressions I used to do...I think I saved those for special occasions. The guys in shop class didn't really seem to know who I was trying to be. I really did love the fembots. Yarnell would have made a great one. Although, she did a pretty good job as the Ant Queen on Wonder Woman. Blunder Twin Powers - Activate!